It’s the Friday before St. Patrick’s Day and I felt like making something a wee bit Irish: strong coffee mixed with a bit of brown sugar and Irish Whiskey. 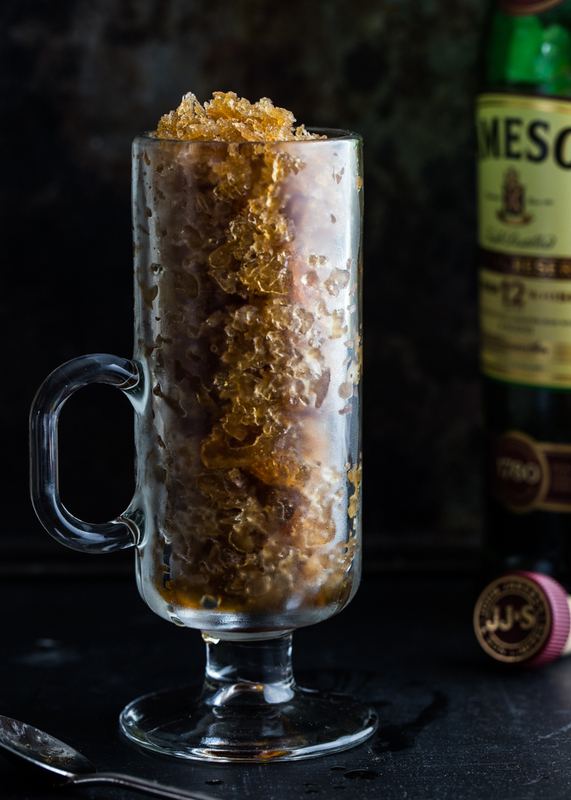 Yup, Irish Coffee but with a frozen twist. 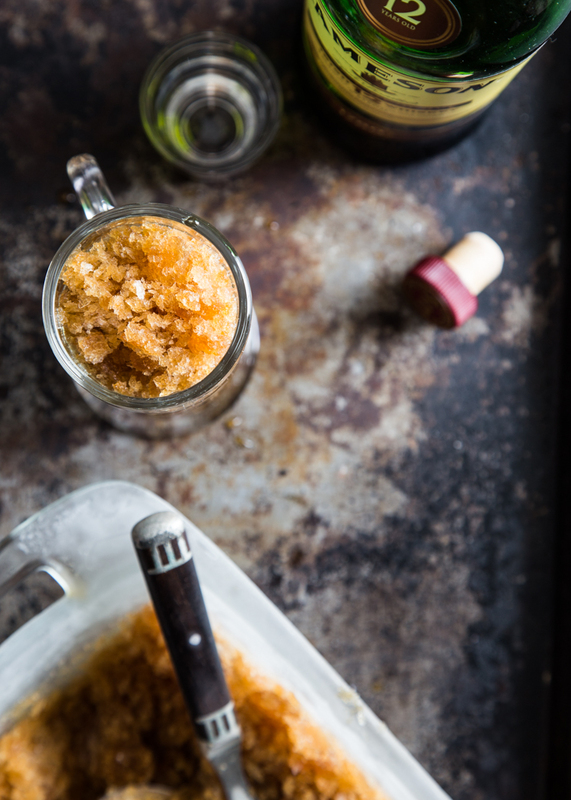 This Irish Coffee Granita is incredibly easy, but takes a bit of planning as it takes several hours to fully freeze. 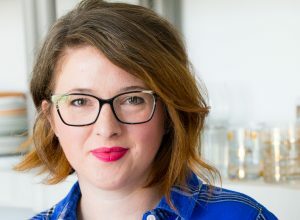 The good thing is that it only takes about 5 minutes to prepare and you can store it in the freezer to enjoy it throughout the weekend. Do you have any big plans for the weekend? My plans for the weekend consist of watching Mockingjay Part 1 and enjoying a bit of cocktail action. Trust me, it’s gonna be fun. 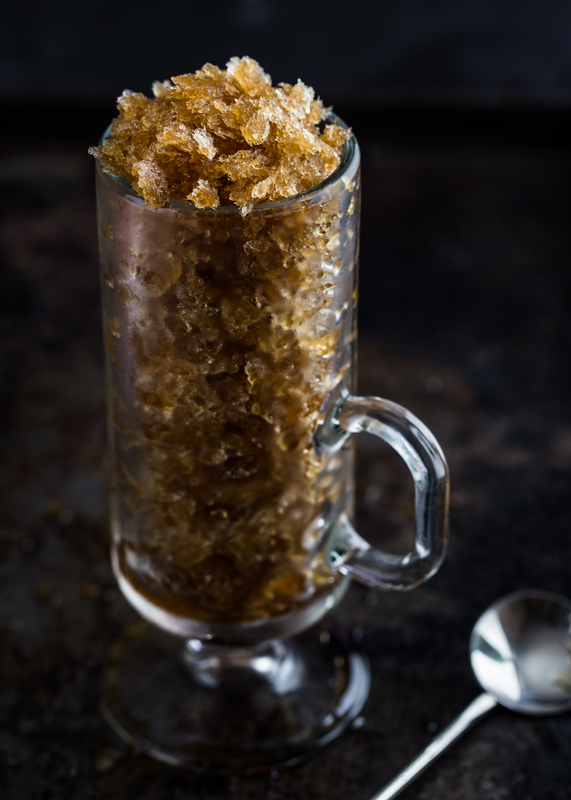 I made a coffee granita a few years ago with Kahlua and this Irish version is similar, but a bit deeper and richer. Stir the brown sugar into the hot coffee. It helps dissolve the brown sugar completely. 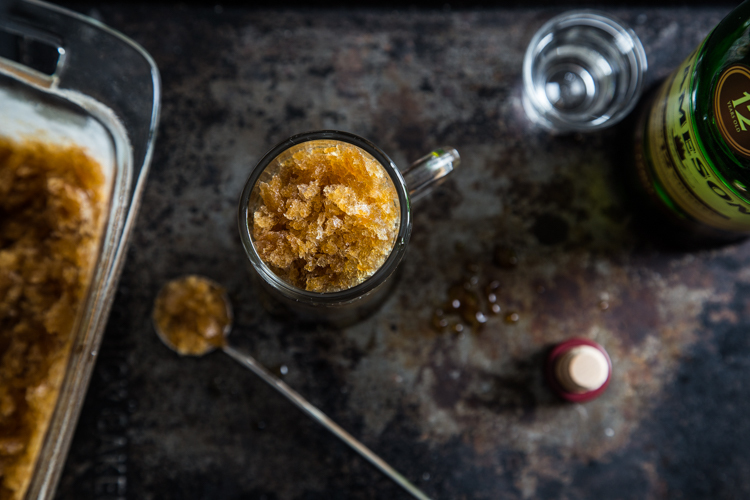 The whiskey keeps the granita from freezing completely. The texture is kept light and fluffy. Whatever you have planned for the weekend, I hope it’s a great one! Stir coffee and brown sugar together. Add whiskey and stir. Pour mixture into glass baking dish and place in the freezer. 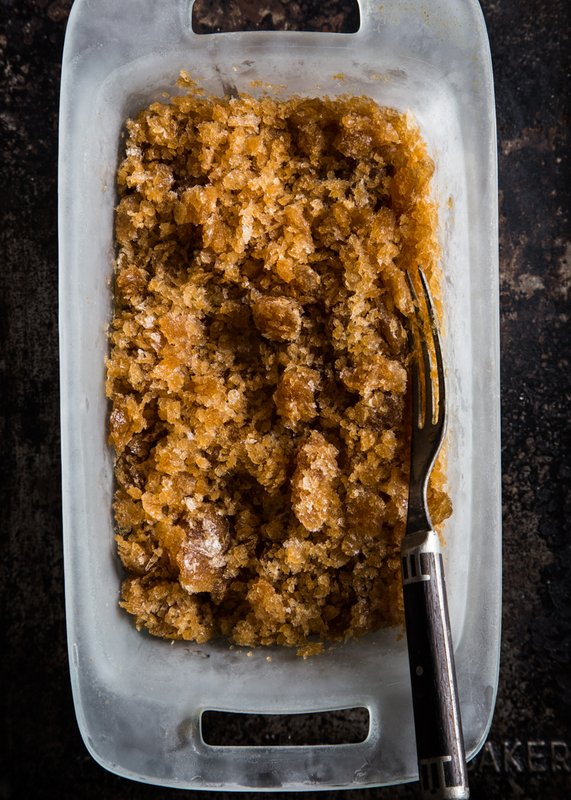 After two hours, take a fork and scrape the frozen crystals to make them fluffy. Repeat the process every hour or so until the entire dish is frozen ice crystals. Spoon into Irish coffee cups and serve. Enjoy!